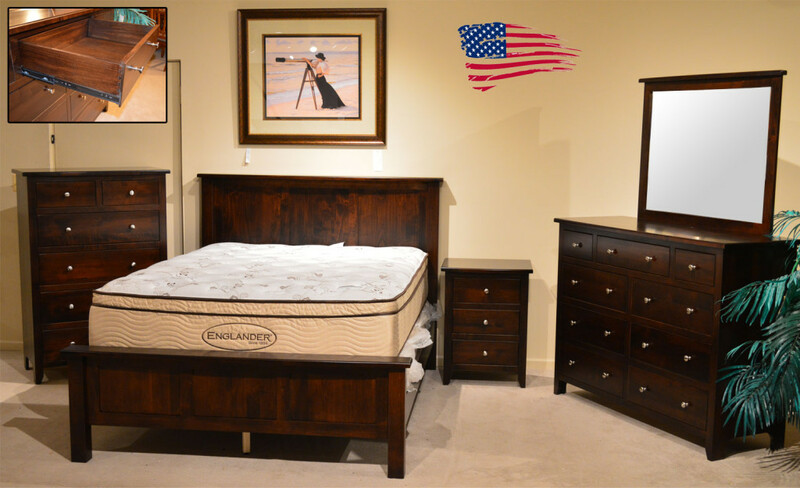 Amish Maple Bedroom- MADE IN U.S.A.
ALL SOLID Brown Maple, full-extension ball bearing glide tracks for sliky smooth action and full access to your drawers on every piece, the finish is achieved through a multi-step process that takes many steps. Also available in Oak and Cherry wood in a large variety of finish colors. Nightstand- 30″h * 22.5″w * 19″d. MADE IN USA! Created by Amish craftsmen. Heirloom quality bedroom that will endure the test of time.